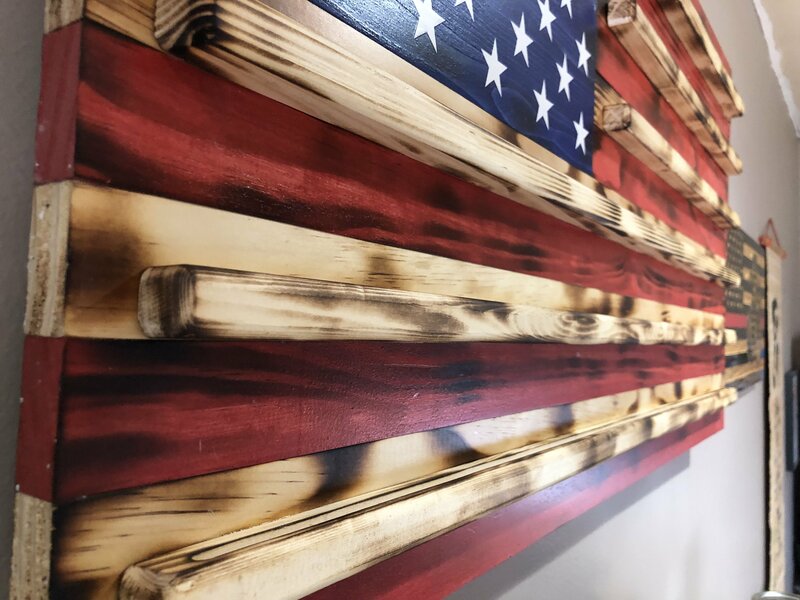 This flag has the natural section of the wood slightly burnt to bring out the character of the wood, stained and union field chosen carved. 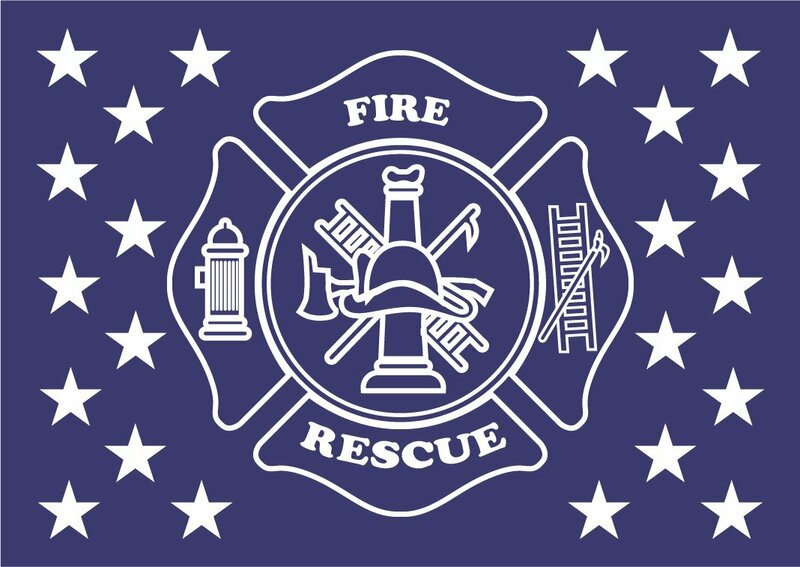 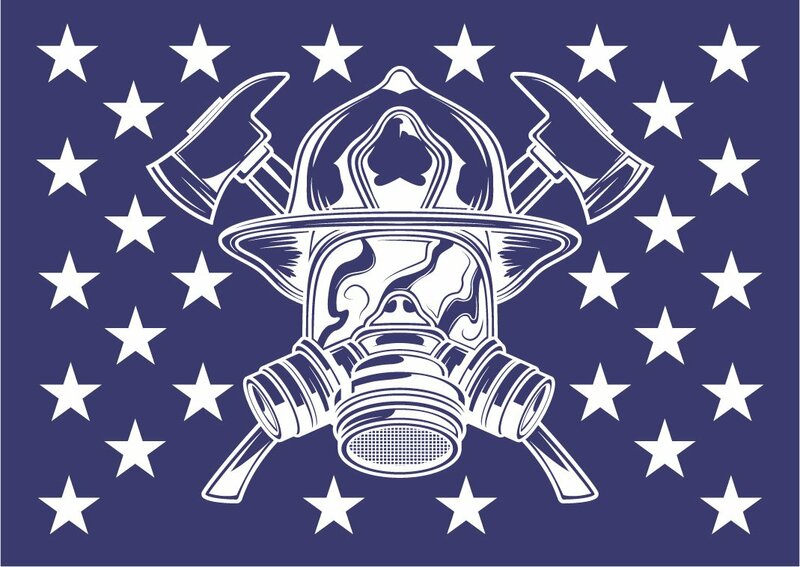 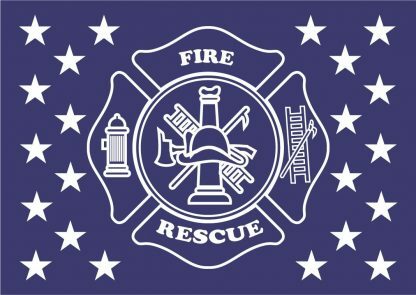 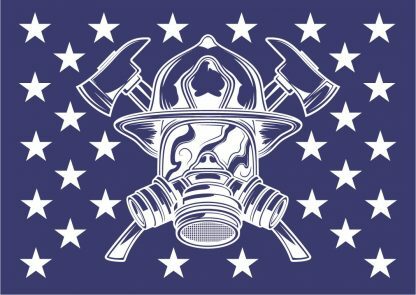 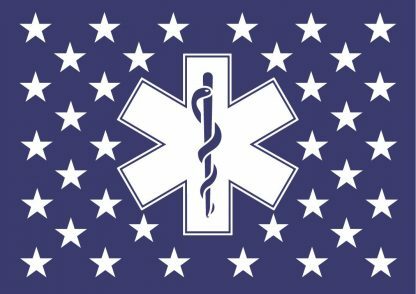 You can have standard star union or fire and rescue symbol. 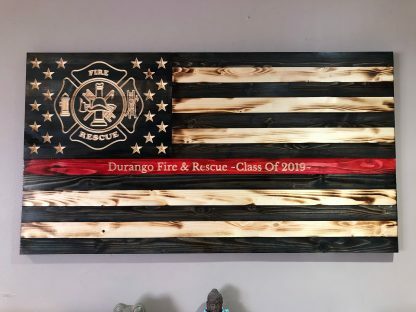 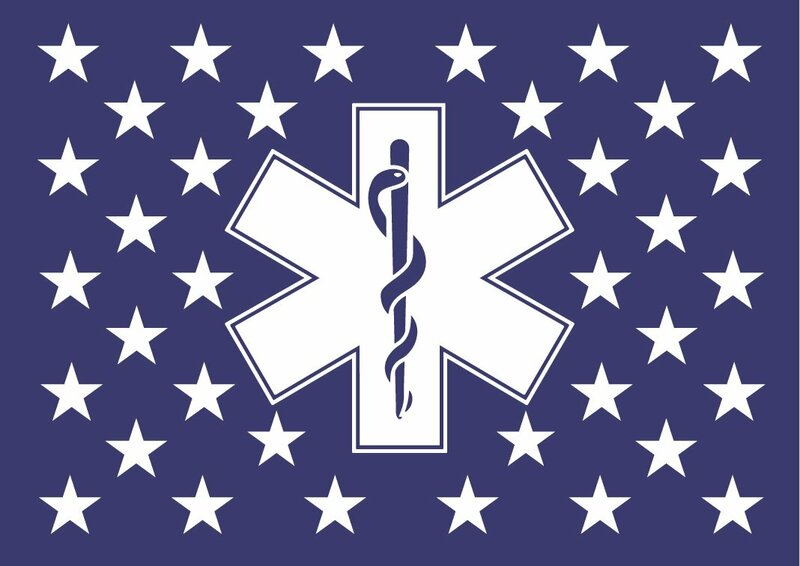 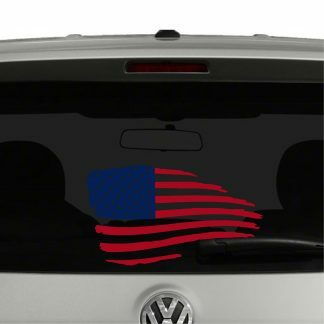 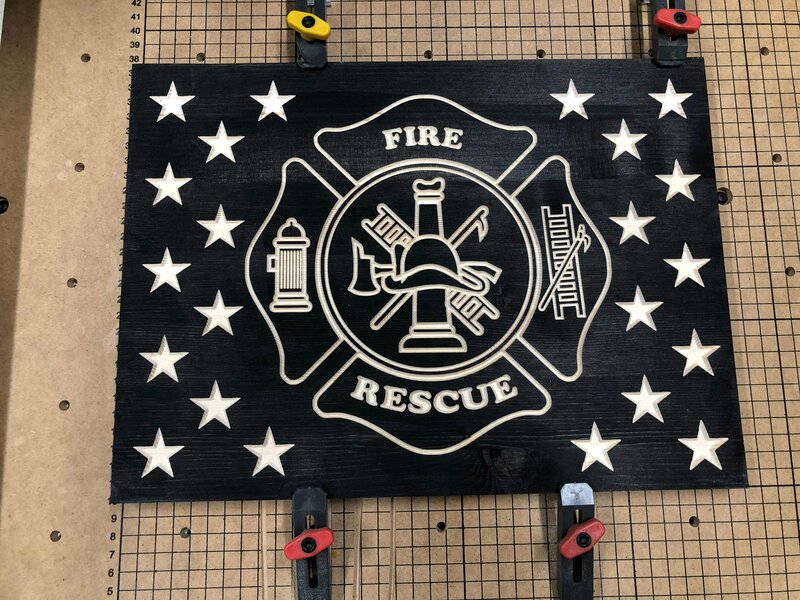 Show your support for fire and rescue first responders with this thin red line wooden flag. 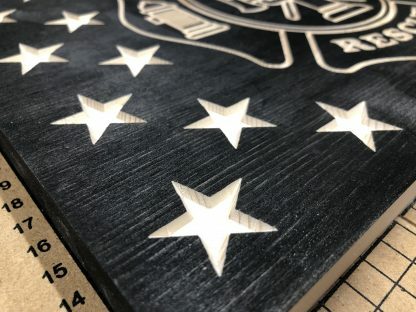 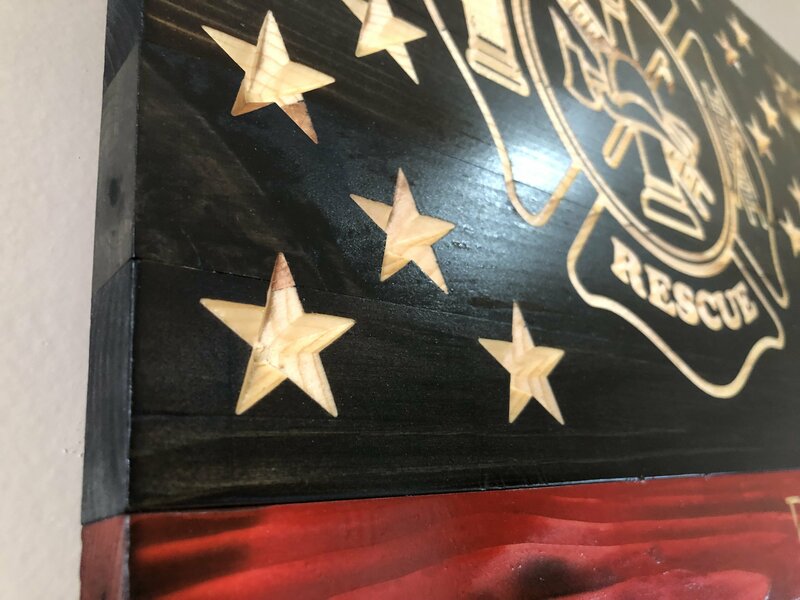 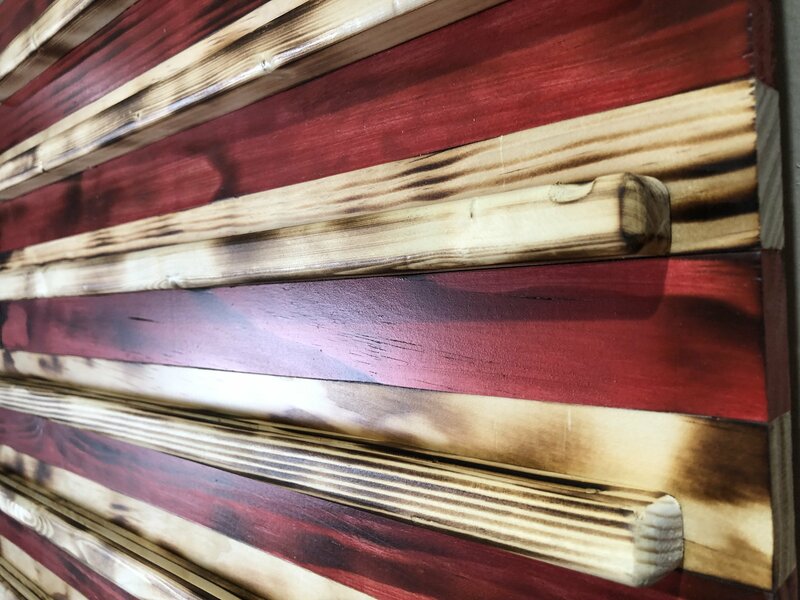 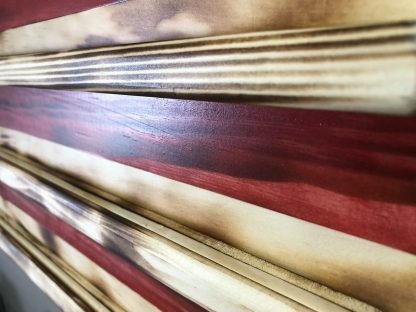 Each wooden flag is made by slightly burning portions of the wood to bring out the grain. 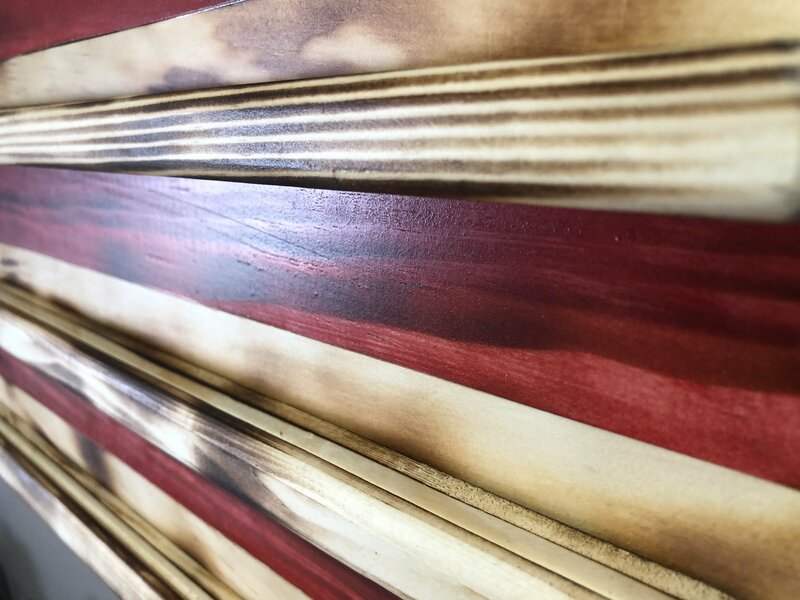 Each strip is a separate piece of pine stained or left natural. The union is one piece of pine stained black then has the field you selected carved with a CNC. The wooden Flag is finished with a clear satin polyurethane and gets 2 to 3 coats that protects from moisture and UV. 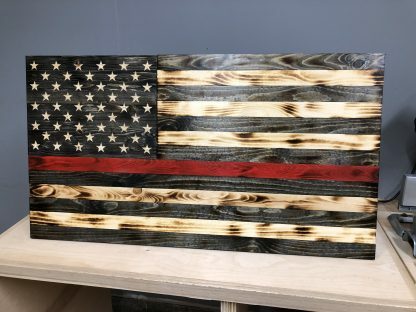 Due to the unique characteristic of every piece of wood no 2 flags are the same. This Wooden Flag measures 19.5 inches high by 36 inches wide while being .75 inches deep. 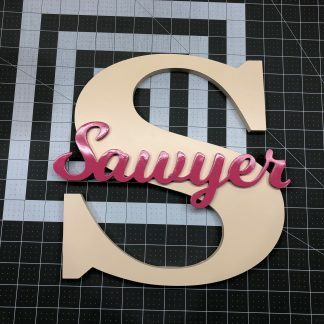 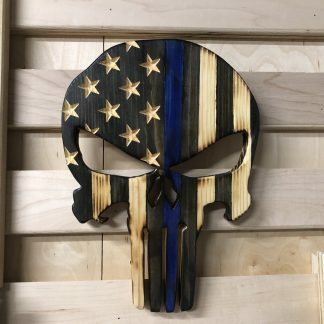 Each flag comes with a 12″ French Cleat mounted to the back and matching cleat for your wall.